Hyenas Bonfire. Hyenas bonfire... 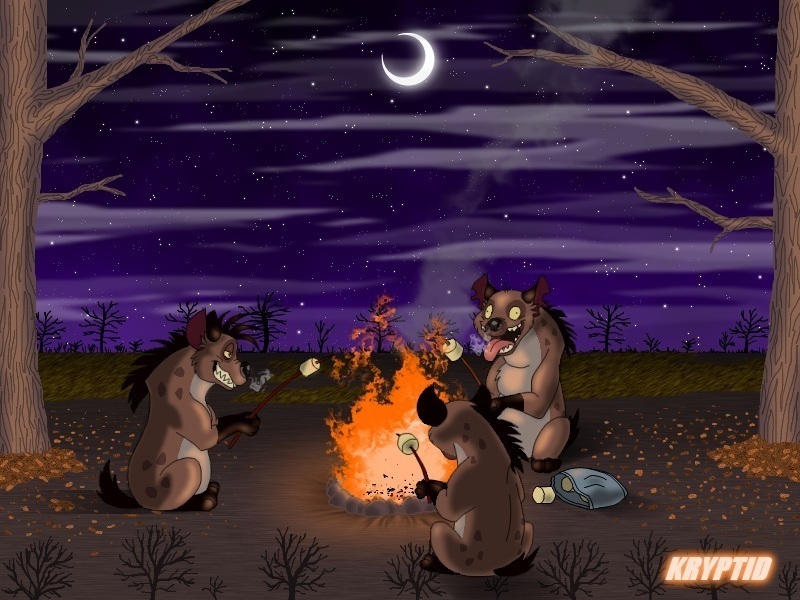 I amor that picture , it is so cute when Hyenas are roasting marshmallows!. HD Wallpaper and background images in the Hyenas from Lion King club tagged: shenzi banzai ed hyenas hyena trio hyena bonfire marshmallows. Hyenas bonfire... I amor that picture , it is so cute when Hyenas are roasting marshmallows!